Your company’s production will skyrocket when your employees receive the physical and mental care that they need. Perhaps you’ve spent months adjusting your business plan. You’ve set production goals for your employees and held “morale boosting” luncheons and parties to encourage your employees to work harder. That’s the last thing you want to tell your employees to do. Work harder. Wellworks For You has created a solution that won’t only improve the performance of your employees at work, it will also improve their quality of life outside of the workplace. Best of all, our highly-qualified team does the work for you. How Does It Make Me Money? According to Forbes, absenteeism costs an average of $153 billion dollars per year. Unscheduled absenteeism in a workplace can average $3,600 per year for each hourly worker and $2,650 per year for each salaried worker. Notice the emphasis on each worker. By providing your employees with an encouraging program as simple as walking (but much more fun with our Pedometer Programs), you can help your employees reach their personal goals. If walking can improve mood and brain function, that means the sharper your employees will be, the more productive they will be. Productive employees bring in money to the workplace. As for helping your employees lower their blood pressure, improve their cholesterol and lose weight, their expected average amount of sick days will lessen, costing you less money on their absence. 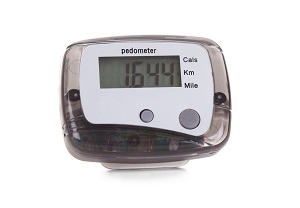 Our Pedometer Programs are designed to customize to each individual’s lifestyle and needs. Your employees will have 1 of 2 pedometers, Fitbit or Omron, and integrate them with our Wellness Challenges. Virtual Pedometer Challenge. Our new gamification technology allows you to create challenges for your employees by creating custom routes, traveling through places like Africa, Australia or even Europe! Without having to spend thousands of dollars in travelling expenses, our new platform will track your employees progress with real-time leader boards and mapping technology. 10K A Day. Using their pedometer, employees can track their steps throughout the day. 10,000 steps are the recommended amount of steps to assist in a healthy lifestyle. For examples of the other Wellness Challenges Wellworks For You can offer, please visit our website. You can also give us a call at 1-800-425-4657, and sign up for one of our money-boosting Pedometer Programs today!